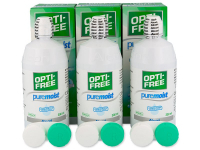 Our economy package contains three 300ml bottles of OPTI-FREE multi-purpose contact lens solution. It's suitable for disinfecting and storing your soft lenses, as it effectively removes lipids and proteins and kills germs. 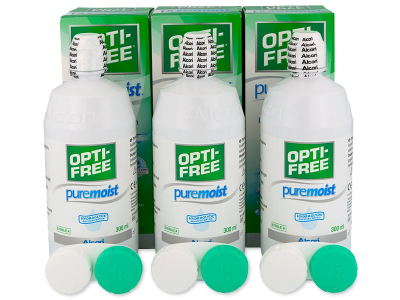 OPTI-FREE PureMoist is a multipurpose solution produced by Alcon. It is suitable for disinfecting, cleaning, and storing all types of soft contact lenses. The solution contains the brand's patented HydraGlyde Moisture Matrix to ensure up to 16 hours of moist, comfortable lens wear. The effective, but gentle formula of OPTI-FREE PureMoist Solution efficiently removes lipids and proteins and kills germs. 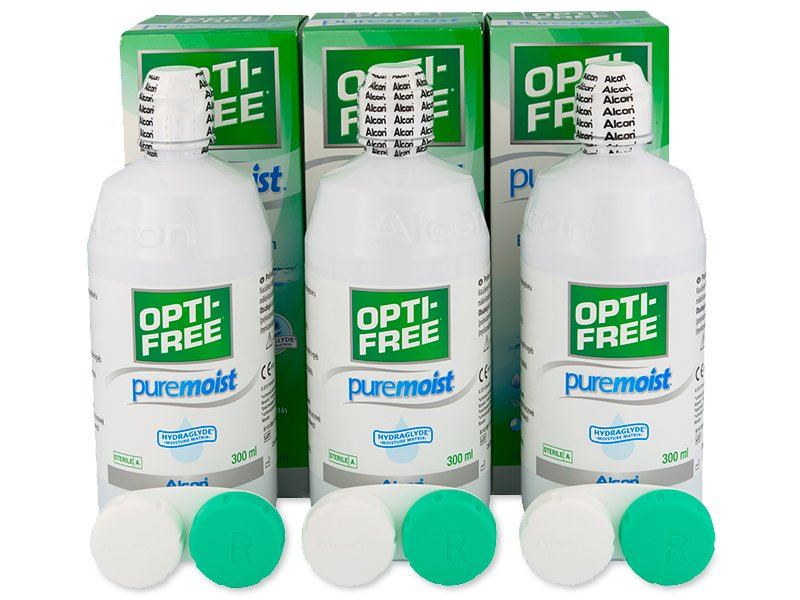 This package of OPTI-FREE PureMoist solution contains three 300 ml bottles of solution and three contact lens cases included. Each bottle of solution should be used within 6 months of first opening.